Founder of Target Stores, Venture Stores, The Wholesale Club. Retail Leader: Founder of Target Stores, Venture Stores, The Wholesale Club. John F. Geisse (died Feb 21, 1992 aged 71) was a pioneer in mass merchandising. 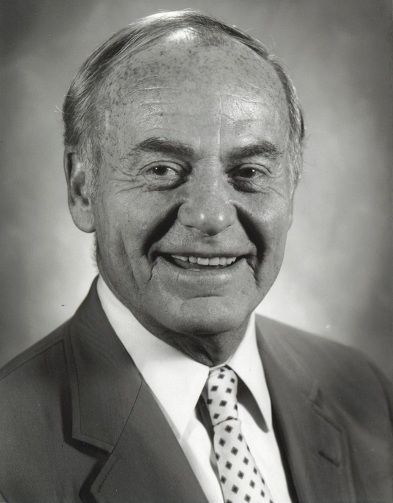 Geisse is the author of the Better Quality Upscale Discount Store Concept in America and was inducted into Discount Store News Discount Hall of Fame in 1984. Geisse launched three successful retail chains. After World War II, Geisse located in Minneapolis, Minnesota, and worked for the Dayton brothers at Dayton Department Stores. In 1962, he founded and launched the chain Target Stores for the Dayton Company (now Target Corporation). In 1968, Geisse left Target Stores and was then hired by May Department Stores, where he founded Venture Stores chain. In 1975, he "retired" from May Co. and Venture Stores. He then purchased Ayr-Way Stores, Indianapolis. After he sold Ayr-Way Stores, he continued his consulting business and listed as clients, Ames Department Stores and his friend Sam Walton and Wal-Mart Stores, Inc. In 1982, he founded his third chain, the first "Price Club" warehouse club, The Wholesale Club, Inc. of Indianapolis. February 1, 1991, he sold The Wholesale Club chain to Wal-Mart Stores, Inc., and The Wholesale Club merged with Sam's Club. Geisse and his wife Mary raised ten children. Geisse.org � 2010 All Rights Reserved.